Posted in Happenings on January 8, 2019 by Gordy Harrower . There’s no excuse for being bored on Friday nights in Lancaster County! 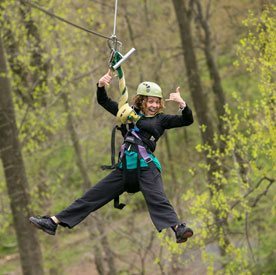 Every Friday you’ll find something special happening in Lancaster, Lititz, Mount Joy, or the River Towns. Hundreds of visitors flock to the streets for these special events each week, creating a festive atmosphere. Guests can enjoy special exhibits, live entertainment and music, food, shopping, and fun. And there’s a doubleheader the fourth Friday of each month with events in both Mount Joy and Columbia-Marietta-Wrightsville. There’s always something going on in downtown Lancaster. But center city area gets a whole lot more festive on the first Friday evening of each month.Come join the celebration as downtown restaurants, artists, merchants, and musicians join together to celebrate First Friday in Lancaster. Art galleries, studios, museums, restaurants, shops, and attractions in downtown Lancaster stay open later while people from all over head downtown to enjoy the festive atmosphere, entertainment, and fun. These events run from 5 pm to 9 pm every month. And there’s something different going on each night. See the schedule of upcoming First Friday in Lancaster events. Mt. 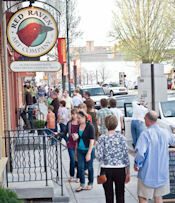 Gretna is the home of First Fridays each month starting at 5:00pm. Enjoy an evening filled with Art, music and dining. Area businesses will be open featuring a guest artist each month. 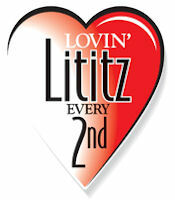 Downtown Lititz, PA is the home of Second Fridays each month from 5 – 9pm. Up and down Main Street and Broad Street in Lititz you’ll find artists, entertainers, musicians, and exhibits that create a party atmosphere in this Coolest Small Town in America. Downtown shops, galleries, and restaurants are open late to accommodate the many visitors who turn out each month. Free parking is available in the parking lots north of Main Street. 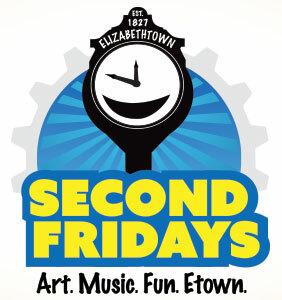 The Second Friday of each month is a special day in Elizabethtown. Each month boasts a variety of activities such as an Art Walk, Chocolate Walk and Wine Walk just to name a few. The Third Friday of each month you’ll find Music Fridays in the City of Lancaster. From January through December you’ll find live music at a number of venues and various outdoor street locations throughout downtown Lancaster. These events take place in the evening, so many downtown retailers, restaurants, and attractions are open later to join in the festivities. During Summer months there will also be free evening concerts at Binn’s Park, 100 N. Queen Street, one block from Penn Square in Lancaster. During Fall and Winter months the concerts will be held indoors. You’ll find different entertainment each month. Downtown Mount Joy hosts Fourth Fridays from 5 – 8 pm each month. Each month is a different theme as shops, restaurants, and attractions create a festive atmosphere for their guests. Enjoy art, culture, and entertainment as these three River Towns along the Susquehanna River celebrate Fourth Fridays. Each month you’ll find different artists while you enjoy the restaurants, exhibits, and antique and specialty shops here from 5:00 – 9:00 pm. 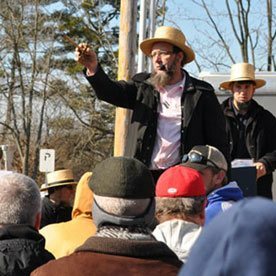 Check out our Lancaster County Events Calendar for special events and activities throughout the year.